Avrum sent me an email yesterday showing me his new system and it blew my socks off!! I love how it captures work, personal life, tasks, ideas and art all on a new two-page spread every day. And all in an uber-cool book!! "Sit down with my notebook (laptop asleep, phone off, newspaper closed) and open it to the next blank page. I write the day and date at the top. I dump a list of the things that are top of mind, in no particular order. That’s important, because it lets me get everything out without worrying about structure. I combine work and personal items. Then, I go back to previous days and look for unfinished items. For each one I find, I draw a slash through its box (indicating it’s been moved forward), and rewrite it on today’s page." Then I do my best to identify 2 - 4 tasks related to high value projects, and place those in the orange boxes. The left side of the page is used for sketches, mostly about how my day is going. At night, I use the the small grey box (bottom right) to jot down a quick thought about something I learned today, or would like to do differently tomorrow. 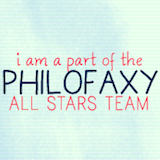 I made the photo extra-large even though it runs into the sidebar because a smaller view just doesn't do it justice! Click on the photo to get a better look at it. Many, many thanks to Avrum for sharing this amazing system!! I know I'm extremely inspired by these ideas and I will be incorporating some of these methods in my system! Alas, I am not this creative and too lazy to write in dates. 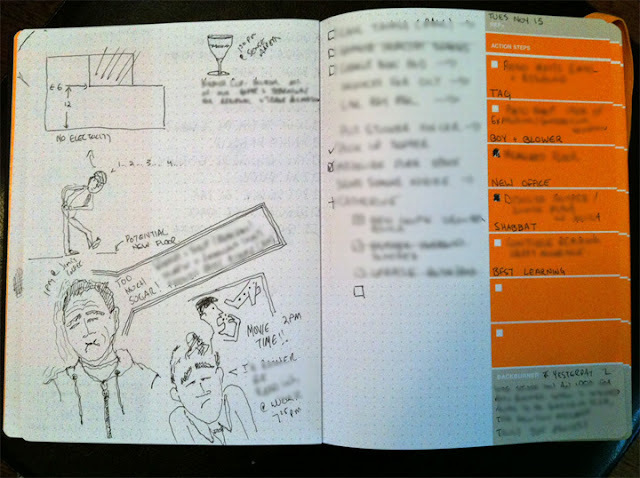 Has anyone seen the inside of the Moleskine Professional Taskmaster planner? Is this new or did I just overlook it before? I am wondering whether there are monthly calendars too or just the weekly ones, and how thick it is. My dailies consist of 15 or so blank graph pages free to do as i please. i clear it out weekly (which is why I have a separate daily logging per month). i've been using ppd literally - front + back per day but have since modeled my daily space like this - makes sense – daily must dos to the right, left side daily everything else. i've gone back to school and needed to add homework to the todos and visually for me it works better on a daily section as opposed to a weekly section. i like the wider space for writing/doodling as well. i do like having 3 views (month - week - day) and am using mpp for planning, wpp for everything else, and now dailies for school. I’d like every section to have a definitive purpose so there won't be much copying necessary. the cool thing about the compact is that it's compact - so you can't carry anything unnecessary. i’ve been using the compact chameleon since june 18 (5 months) and have fine tuned my system many many times but love this size book and have been able to make it work for me. mstraat the Taskmaster is new to the Moleskine lineup for 2012. I haven't seen it in person but I think it's safe to assume it has month-per-page calendars like the rest of the Moleskine planners (except for the Extra Small ones which have month on 2 page calendars). I can't tell you how thick it is, but considering it has 4 pages per week (a two-page spread for notes between the weekly two-page spreads) it's probably almost twice as thick as a normal weekly, about the same thickness as a day per page (maybe not quite that thick). But again, I'm speculating because I haven't seen it in person. Has anyone gotten to handle this one and can tell us the specifics? Thanks! New poll: which color paper do you prefer? Poll results: what type of planner do you use? Winners of the personalized Moleskine giveaway!